It depends on your passport. Passport holders from Western Europe, North America and Australia/NZ can enter the kingdom without any visa and stay for 30 days. Passport holders from some other countries must apply for a visa on arrival and are allowed to stay for 15 days. And passport holders from other countries must apply for a tourist visa before they leave their country. What if I want to stay for more than 30 days? The easiest solution is to apply for a tourist visa, at the Thai embassy of your country, before you leave. A tourist visa will grant you a permission of stay of 60 days. You can also apply in a neighbouring country (make sure you have all the required paperwork). How can I extend my visa tourist without leaving the country? You can have your tourist visa renewed in Thailand (just find the closest Immigration Bureau). A renewal will grant you another 30 days, so on a whole you can stay three months on a tourist visa. You can then apply for another one or two extensions, 15 days, then one week, but it’s not always granted, and after that you must leave the kingdom anyway. Can I stay permanently on back-to-back tourist visas? You can go abroad and apply for another tourist visa, for instance in Laos, Malaysia or Cambodia. 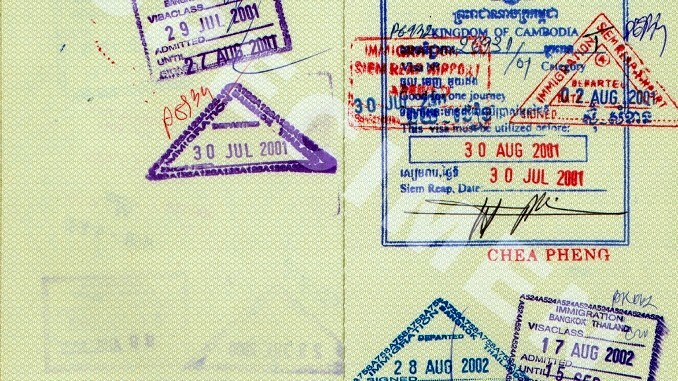 This is called a “visa run” and it usually takes two days, as the visa is not issued immediately. There used to be a lot of people doing visa runs every three months and living in Thailand several years on tourist visas, either working illegally or living on various revenues. Now the rules have tightened, so getting back to back tourist visas is no more a solution to stay in the country indefinitely. You may get a maximum of three tourist visas, but chances are that the fourth one will be rejected, especially if you apply in the same consulate in a neighbouring country. If I don’t have a visa, can I just get out and get in again? If you are eligible for an exemption of visa, you can go out and re-enter the country and be granted a permission of stay of 30 days at your arrival at the airport. At a land border, you are given 30 days if you have a passport from a G7 country, or 15 days otherwise. 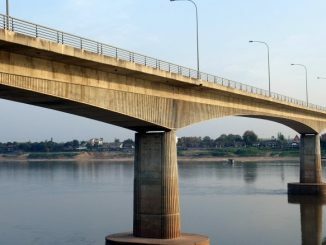 But back-to-back exemptions are not allowed anymore, so border runs are not a solution to live in Thailand for a long time. Actually, you can only get 2 exemptions per calendar year at a land border, the third time you will need a visa. I have a two-month tourist visa, can I go out of Thailand for a few days during that time? If you have a single entry visa, then you must ask (and pay) for a re-entry permit, or else your visa will be voided. If you have a multi-entry visa, then you can go out and come back without any formality. You can get a re-entry permit at your local Immigration office a few days before or at the airport on the day of departure (there is a desk inside immigration area at Suvarnabhumi). To avoid the hassle, we suggest that you buy a multi re-entry permit at the same time when you renew your extension. So if you have to go abroad at short notice, you won’t have to care about your re-entry permit. How do I know exactly how much time I’m allowed to stay? 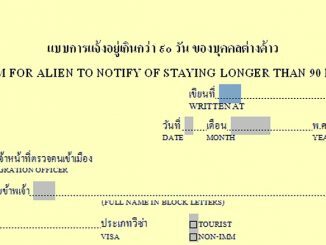 Be careful: the period of validity of your visa and the period for which you can stay in Thailand are two different things. For instance your visa can be issued in January and it can be used for three months, but it doesn’t mean you can stay in Thailand until March. It means you have until March to enter Thailand and use your visa (only once if it is a single entry, or several times if it is a multiple). What matters is the date that is stamped in your passport when you first enter the country. It usually says “permitted of stay until” or “extension of stay”. This is the date that matters. You must always be careful not to overstay this permission. What should I do if I overstay my visa? It’s not a big problem if it’s just a day or two, just pay the fine when you leave the country. If it’s a long overstay period though, things are getting critical. 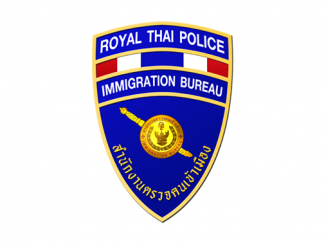 Since March 20th, 2016, foreigners overstaying for more than 90 days will face prosecution and will be banned from reentering the country (for up to 10 years if the overstay is more than one year). 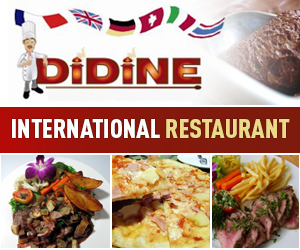 For more information please refer to the Immigration website. If I want to stay permanently, what can I do? Apply for a retirement visa if you are over 50, or for a business visa and a work permit if you are working, or for a marriage visa if you plan to get married. There are not many other options, as Thailand strongly discourages foreigners to live in Thailand. Those who choose to live here must also accept the fact that they won’t be granted any rights (notably foreigners can’t own land). Most of the foreigners living in Thailand have nothing more than a one-year visa, with the obligation to report to the Immigration Bureau every 90 days. Only very few of them have a residency permit, and very, very few are granted the Thai nationality (it’s a very long and difficult process, which includes singing the Thay hymn in front of a crowd, taking an exam in Thai, etc.). What if I am young, unmarried and rich enough not to have to work? Well, you should enjoy Thailand as a holiday destination. But be careful, many ladies will try to marry you! Can I accept a job while on a tourist visa? Never engage in any working activity (even by Internet, even for a foreign company, even for a non profit organization!) while on a tourist visa. If you are taking up a job, make sure your employer provide a proper visa, with a legal procedure. Working illegally is a serious offense and can get you into a lot of trouble (you can be jailed, fined, deported and blacklisted). Laws can change very quickly in Thailand, and procedures and paperwork can also vary from one embassy to another. If you need to go on a visa run to renew your visa, make sure you read the latest reports from other people, for example in the Thaivisa forum. 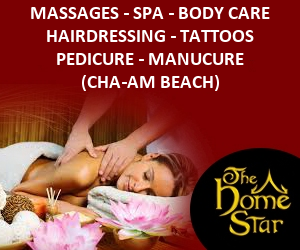 You will be aware of the required paperwork, prices, scams, etc. Some agencies also organize visa runs, which is convenient if you don’t have your own means of transportation. On January 2oth I arrived by plane in Thailand and got an exemption visa until saturday 18 February. I will extend my visa with 30 days and will pay 1900 Baht. But it is critical: my fligtback is on March 20th. 18/02 until 20/03 is 30 days. So far so good. But 18/02 the immigration is closed. If i go to immigration on 17/02 i get – possible – an extension until 19/03. And whst happens if i visit the Immigration after the expiring date owing to the weekend? Hi Willem, I would advise you to go to Immigration on the 17th, as it doesn’t change the next expiry date anyway. And ask them directly how you can avoid overstay until the 20th. Possibily you can renew one more time but for only 15 days, so more than enough… but it will still be 1,900 baht.